A former Shrewsbury Magistrates Court officer has been appointed as a legal executive with a law firm in the town. 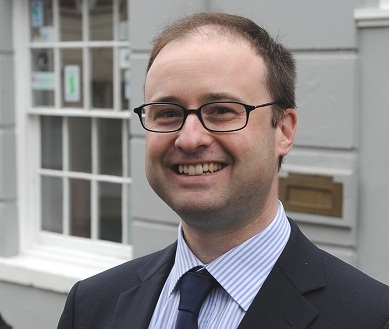 Jonathan Edwards will specialise in administering estates, wills and lasting power of attorney issues at Wace Morgan Solicitors’ office in Belmont. After spending six years at the court, dealing with Legal Aid applications and liaising with solicitors and court users, he joined a county law firm in 2007, eventually setting up and expanding its wills and probate department in Telford. A graduate member of the Chartered Institute of Legal Executives, he is due to become a fellow of the professional body this autumn. Jonathan is also a former Shrewsbury and Atcham Borough Councillor and acted as flood warden during the floods in Abbey Foregate in 2000. He commented: “I am experienced in administering estates from the straightforward to those where inheritance tax is payable and enjoy providing a support to clients at a difficult time.